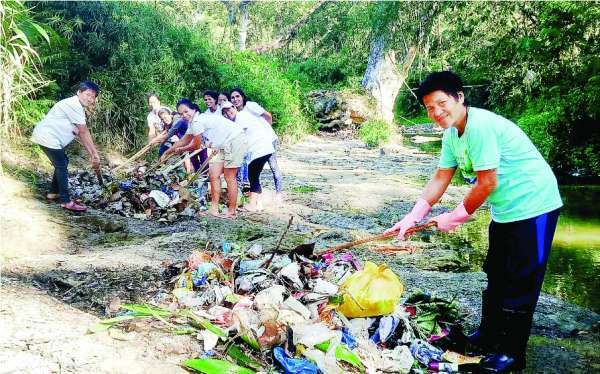 THE Carmen Copper Corp. engaged residents from Barangay Cantabaco, Toledo City in cleaning the waterways last Feb. 23. The activity, participated by 88 volunteers, was meant to mitigate flooding during the rainy season and protect the rivers from pollution. Volunteers and Carmen Copper employees collected 434.5 kilos of garbage from the Cantabaco River and 68 percent of which was non-biodegradable waste. The activity was the first of the quarterly river cleanup to be conducted in Cantabaco for 2019. The Carmen Copper’s program, “Linis Estero,” aims to raise awareness on environmental protection and conservation. It is also a call to action against the improper disposal of waste, which pollutes the rivers and waterways. The Hugpong Cantabacoanon para sa Kinaiyahan (HCK), a Carmen Copper-assisted people’s organization, mobilized 64 of its members to participate in the activity. Adopt-An-Estero/Water Body Program. The certificate of recognition was awarded to HCK, which was accepted by its president, Alejandro Cantalejo. Carmen Copper also donated 20 steel drums to be used as garbage bins for proper waste segregation in Cantabaco. The village wants to be a model in following the provisions of Republic Act 9003, or the Ecological Solid Waste Management Act of 2000.